One way and two way anova is a concept that many people struggle with and it’s important to know the difference. ANOVA is that of an analysis of variance. The simple definition is that a one-way will measure the effect of only one factor while a two-way will measure the effect of two factors at the same time. The anova test is designed for procedures that violate the normal assumptions. If data is non-parametric and ordinal, then the better test is that of the Kruskal-Wallis analysis of variance. It all has to do with the experiment and what is trying to be proven. In some instances, it makes more sense for a one way anova test to be run and in other situations, a two way anova should be run. A one-way anova is going to allow you to assess only one aspect. This could mean the treatment effect or the time effect, for example, but not both. If you only need to assess one aspect, then there is no need to bring in a second factor. Otherwise, it over-complicates what you are trying to prove. The two-way anova is designed for more intricate experiments. It would allow you to assess two factors simultaneously, such as treatment or time. Additionally, it is going to allow you to see if there is some kind of interaction between the parameters. If there is an interaction (or not), it could then demonstrate that more in-depth experiments need to be performed. The one-way anova will allow you to compare multiple samples and this is where many people are confused. You can still have the samples, with one of them being the control. However, you are only using one type of sample, one factor. The technique is also only going to generate numerical data. The one way anova will produce an F-statistic. The two-way anova will assess the main effect of the variable and the interaction. 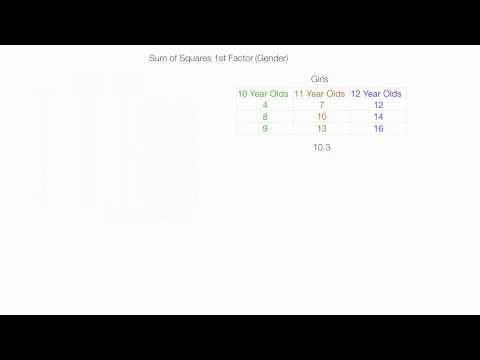 The sums of squares will be calculated in order to determine the significance of the factors. 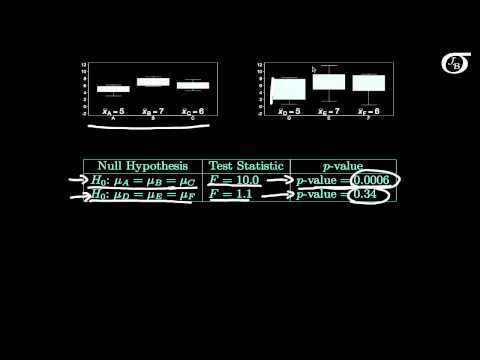 If you have a null hypothesis that you want to test, you are going to use ANOVA. You can sample with the same mean values and obtain a significant amount of data. Since there are differences between the one way and two way tests, you will have to decide which one is more effective based upon whether you are only testing one factor or not. The samples need to be independent, population variances need to be equal, and you have to be prepared to have at least three or more samples, regardless of what you are testing. From there, it is up to you as to whether you want to test a single factor or if you want to test a relationship between two factors.